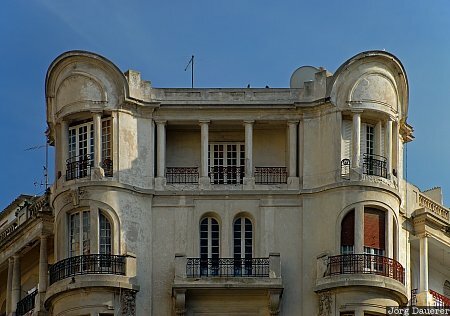 The top part of the facade of an Art Nouveau house in the center of Casablanca. Casablanca is in Grand Casablanca in northern Morocco. This photo was taken in the afternoon of a sunny day in March of 2010. This photo was taken with a digital camera.